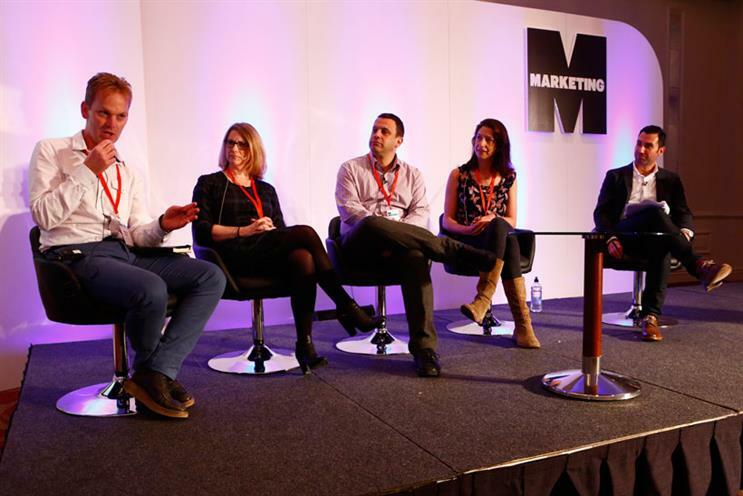 Content is seen as somewhat of a panacea for brands but there is no size fits all, as Paddy Power, Age UK, Exodus Travel and Atom Bank revealed at Marketing's Digital Exchange today. Speaking on a panel at Marketing’s Digital Exchange today, the theme is best summed up in a question that Lisa Wood, chief marketing officer at soon-to-launch mobile bank Atom Bank, proposed " When you develop a brand, how do you bring humanity into the digital?" How do you bring humanity into digital with content?
" We plan to challenge the whole banking industry as we see a huge opportunity for banking online, mobile is where the whole audience is going at the moment. Why not do it with banking? We’ll be an app-based mobile bank. It would have been really easy to go down tech route but as a brand and that’s what we don’t want to do. When you think of tech it doesn’t necessarily engage people, so when you develop a brand, how do you bring humanity into the digital? Product and the proposition will be highly relevant and useful but in the digital space you still need to emotionally connect. People buy from brands they like and buy more from those bands as well. Humanity plays a huge role as people don’t want to buy from personality-less brands. We’ve not got a lot out there as we are in ‘build mode’ but our website shows we are very driven by the values we have, it’s really human and shows we are passionate about customers. The tech stuff will blow your mind but we will also be human." "We have the power to be a strong personality. Paddy Power is an irreverent and cheeky brand. this gives us a platform to create content in but it is core to culture of organisation . It extends across every layer of the organsiation. It might be a singular tweet sent on a Wednesday night game about Arsenal but it also extends right up to the boring boardroom. Paddy Power in a recent set of [annual] reports, set the financials against theme of the horsemeat scandal. Each section was themed against a particular choice cut of the horse, it was sent out to analysts in a supplement of horse recipes and played the Black Beauty theme. "Emotion is the reason people buy into your brand. Think about what content you look at. What encourages you to share? What moves you emotionally? It can make you angry or make you laugh or smile, it is what we need to do as brands to make people want to share. [In social} 89% of marketing messages can go completely unnoticed." "When I was at Butlins, people would talk about us easily. If we needed to up engagement, we’d put up a picture of Billy Bear and say ‘click like here to high 5 Billy’ and it would all start appearing in our feeds. There used to be easier ways to small level, but high volume, engagement. At Exodus the average age of customer is over 50. It’s big adventure travels, so we do have lots of exciting content to talk about. We do travel in a responsible way, the groups are small, we use local guides and look out for low impact tourism. We let people learn about cultures and so we discovered that as customers go on trips, the return rate is brilliant. 97% said they would recommend to friends, but they don’t. They will say ‘I had a brilliant time in India’ or talk about the local guide, local food and other travellers, they don’t mention Exodus. They seek quasi independence, it is lovely reassurance but whole vibe makes it hard to encourage advocacy for the brand as they talk about travels but not Exodus."